Day 2 at the 2017 Winter Outdoor Retailer Show was another busy one. 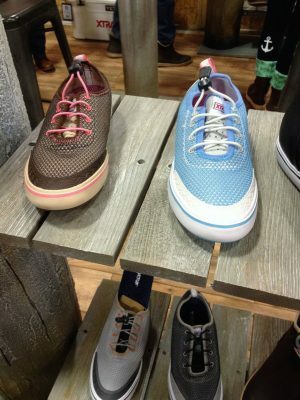 I highlight some of the trends and products I saw at the show. 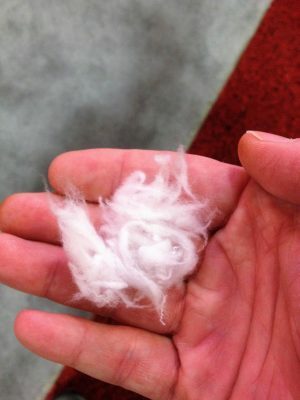 One of the themes at the show was sustainability and one of the players working to become more sustainable is Primaloft. 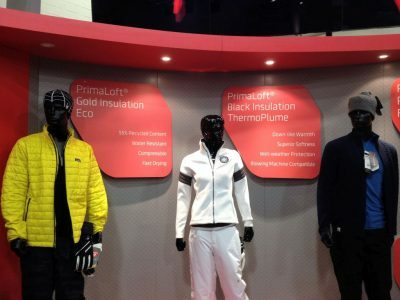 They are introducing their new Primaloft Gold Insulation Eco with 55% recycled content. In addition Primaloft is introducing their new Black Insulation ThermoPlume which looks, feels and acts like down, but is a synthetic fiber. It is pictured below. 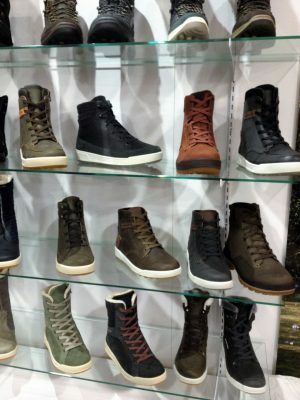 Lowa boots are introducing a new lifestyle series boot in 2017 with unique styling in both the mens and womens line up. They still have the great outdoor backbone but with style. 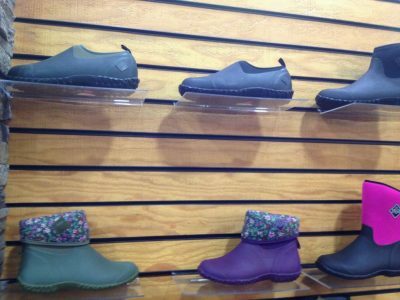 Continuing with the footwear theme Muck Boots has new offerings for women and kids in new bright colors, but retain the same high quality Muck Boot Construction. XtraTuf is also continuing to innovate and has come out with a new line of water shoes with breathable uppers and the same great sole that fisherman in Alaska are used to. This ends part one of my Day 2 Update. Check back in to see what’s new at GSI, FA, Adventure Medical Kits and more.